Tag Archives for " Walter Lim "
What is the greatest marketing challenge in the digital age? For many entrepreneurs and small business owners, it lies in creating content profitably and sustainably over the long haul. When virtually all of your customers are spending their waking hours reading, searching for, and sharing content online, it makes total sense for you to write and publish content online. However, writing content to market your products or services online isn’t quite the same as copywriting for an ad. On the contrary, online content should be focused on helping your targeted customers to solve their problems, achieve their goals, and improve the quality of their lives or work. So how can you create content that works hard for your business while bringing in leads and customers? Online behaviors, for example, their preferred social network, content types (video, text, audio), frequency, and duration. Purchase behaviors, for example, budget, the frequency of purchases, and service expectations. A customer profile provides you with a deeper understanding of who your customers are, what they want, and how they behave. Such information informs and guides your content writing process and makes your brand more relevant and empathetic to your customers. Lunch with your colleagues handling customer service. They will probably have a ton of stories to share with you! Use keyword research tools like SEMRush, Google AdWords Keyword Planner, or keyword.io to find out what people are searching for. Check out your company’s reviews on Google or Facebook, and get ready to take notes from the one and two-star reviews. Go to an online forum specific to your trade, and learn which discussion threads have the highest number of responses. Visit a Q&A website like Quora and type in the keywords related to your trade. Now that you know what keeps your customers up at night, you need to provide them with the “medicine” for their pain. If you are an expert in the business (which I’m sure many of you are), all you need to do is to write down the steps to solving the problem. If you aren’t, you can use search engines to find what experts are already sharing, and curate the best available strategies into a coherent piece of content. Notice how the best title is both specific (Facebook) and includes important keywords (boost local traffic). Depending on which stage of your customer’s buying journey you wish to target, you may consider different forms of content to wrap your solution around. This is also determined by your available time, talents and resources. Also known as the CTA, your Call-To-Action refers to the specific next step that you want your reader to take. The best forms of CTAs are matched to your audience’s readiness to act and the type of content that you provide. Which channel should you publish your content on? How should you share and promote your content? For the first, go back to your customer profile and match your channel to your customer preferences. I normally encourage my clients to use their website as their “content home” – it is usually easier to convert your customers on a landing page on your website. Once your content is published, you should share it as widely as possible. I would share it on all my social media accounts – Facebook, Instagram, Pinterest, Twitter, and Google Plus – plus send out an email newsletter to my blog subscribers using MailChimp. For important pieces, you may wish to invest a small sum to boost your content on Facebook, LinkedIn, or content syndication networks like Outbrain. Doing so helps you to extend your reach beyond your own networks. Measure how well your content does. Common indicators used include views, visitors, shares (on social media), leads generated, downloads and other metrics. Monitor the responses from your audiences. Are they reading your content but not taking action? Are they liking your content on social media, but not clicking through to the article itself? How long does your content continue to bring in visitors – a few days, a week, a month, or longer? Modify your content to improve your conversion. A good way to do so is to experiment with different captions and images when you share your content on social media. Producing effective content that offers payback takes time and patience. It is a skill that requires daily and weekly practice. By adopting these seven steps, you can shorten your learning curve and be more effective and targeted at creating content that builds your brand, generate leads, and increases sales. 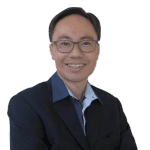 Walter Lim is a digital marketer, brand storyteller, trainer, and consultant. Director of Cooler Insights – a boutique content marketing agency – he loves to help businesses create, nurture and grow winning brands through storytelling, social media, and PR. Connect with Walter on LinkedIn or visit his website.